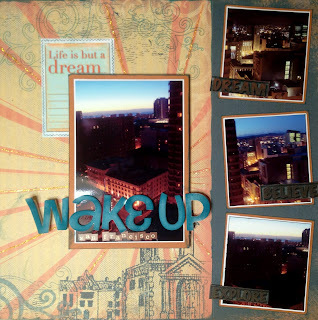 I have 2 projects to share with you today, using this vintage line :) First, a layout from our November 2010 anniversary trip to California. It took my husband a few minutes to realize the "Full House" reference, do you? I altered the foam alphas I had on hand with the fabulous Powder Puff ink, in Baja Blue. 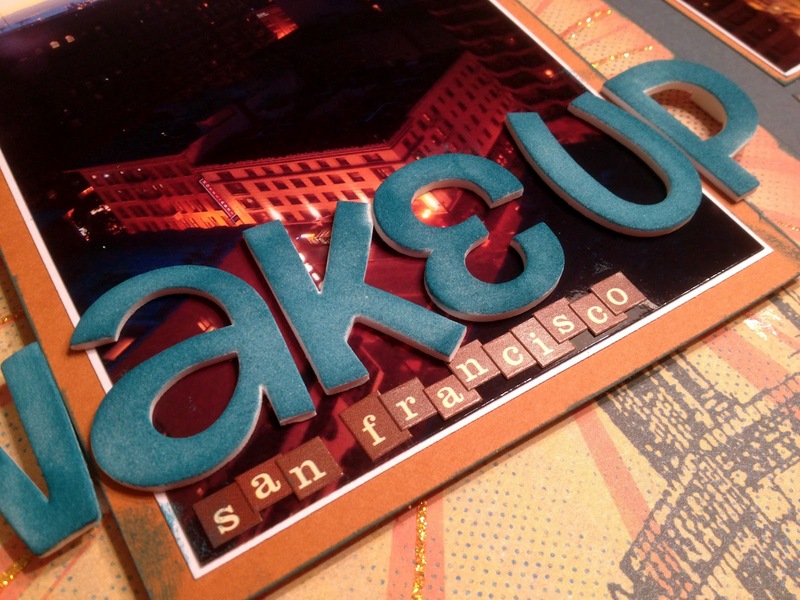 The chalk inks make it easy to create custom titles to coordinate with the papers. I also inked the edges of the Tin Type paper. I accented the sun rays with yellow glitter. I added a journaling block from this cardstock sheet as a photo corner. 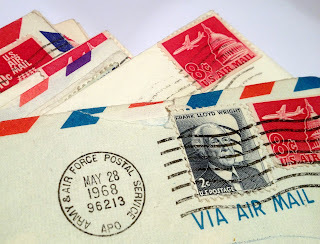 My husband and his father have been cleaning/renovating his Grandmother's home - and they found letters (TONS of them.. probably ALL of them) that his father had sent his mother when he was serving in the Army. How cool is that? She kept them in a manilla folder, each in their original envelopes. I bought a wooden box at my local craft store and painted it brown. I adhered the vellum overlay to the lid and embellished with this paper from the Tin Type collection. I added a few gold pearls for added dimension. I inked the edges of the patterned papers in Amaretto Powder Puff Chalk Ink. 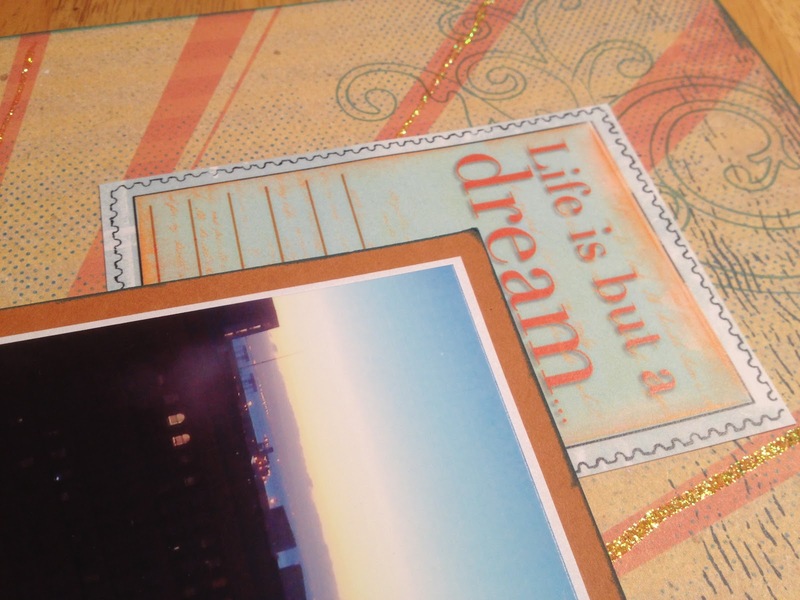 The underside of the lid was embellished with the "Life is Full of Surprises" colored vellum quote. I thought it was so appropriate because it says "life is full of surprises; open them slowly". Perfect for this project, no? I thought it was a special place for our family to keep some of the letters and pictures his Grandma had so carefully saved. Love this Tin Type collection....Suzanne has really inspired me. The Heirloom box is stunning and PERFECTLY done. Sure to be a real family treasure for generations to come. Suzanne, you are always so full of inspiration. these two project are fabulous. how cool to find all the letters. the box is a beautiful creation to store them. Loving the Treasured Memories Box Suzanne. What a great find as well with all those wonderful letters. Hi Suzanne, What a treasure you have in those letters! Even the envelopes, with the stamps and cancellation marks. I hope the box will preserve them well as wood might turn them yellow...I'm not sure if the coat of paint adds protection (??) but it might be worth checking into! The letters are priceless! Thanks for sharing your scrapbook pages, too. I love the Tin Type collection! What a wonderful project. The box is so neat and yiour use of the paper is wonderful. Can't wait to get soem Tin Type. Thanks for the great inspiration. This is such a beautiful collection and Suzanne rocked it! 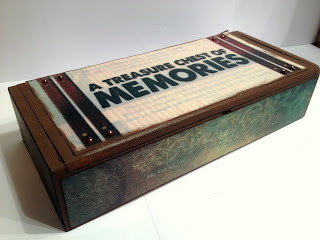 Love this layout with the fun and clever title.. and that memory box is gorgeous! What a lovely heirloom for the family. 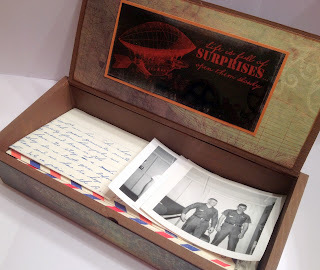 Wonderful memory finds & memory box. I LOVE the way you created the memory box for those treasured letters! What an amazing keepsake! And your layout is beautiful! Love the way you colored the foam letters to match!